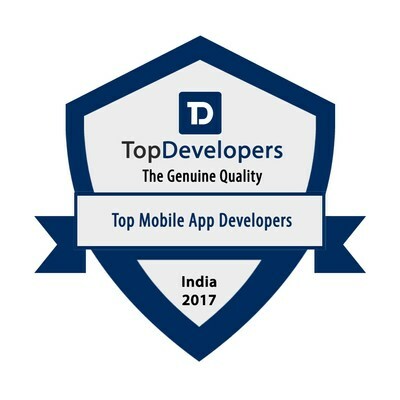 TopDevelopers.co announces the most efficient and best performing app development firms in India. These leading players in the industry are identified through discreet analysis. Understanding the app market, technology, benefitting business sectors, and the usual app requirements to its core, the research analysts have come up with a set of qualities that genuine development firms should boast. The company's research on all the grounds involves stringent process that classifies the highly professional mobile app development companies that can fulfill the customer requirements flawlessly. Parangat Technologies, ChromeInfo Technologies, TechAhead, Mobulous Technologies, Finoit, Flexsin Technologies Pvt. Ltd., Fluper Ltd.
India, being one of the fastest developing countries with a considerable population of technocrats, has been setting mark as one of the best countries to partner with, for mobile and web app development. The country offers cost-effective yet exceptional solutions required for any degree of business complexities. Modern India is known for technological advancements and mobile culture apart from the cultural, traditional, ethical and historical symbolism that were usually connected with the country. Technology has become one of the multi facets of India. Every business sector is now using mobile technology for business enhancement. This massively increases and insists the demand for mobile applications and mobile app developers. Therefore, identifying the right service provider that suits your requirements becomes vital.